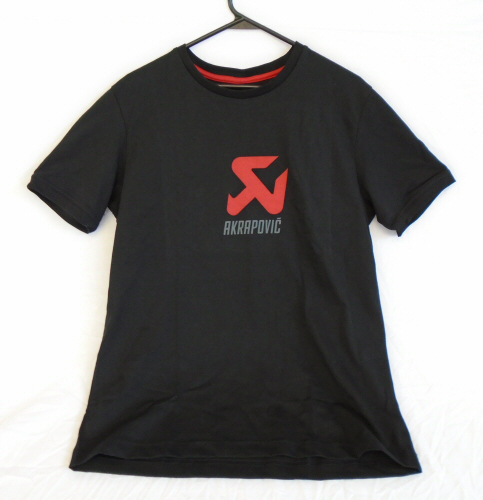 This official Akrapovic T-Shirt is screen printed with the company logo scorpion on the front and the modern Akrapovic lettering screen printed across the back. Shirt is 100% cotton and made in Akrapovic's home country of Slovenia. The shirt is sized in European proportions, order one size larger than normal to ensure a good fit.